Abra Governor Jocelyn Bernos on Saturday said the imposition of the total gun ban in her province would help in the maintenance of peace and order. “It’s a big help,” Bernos said in telephone interview. 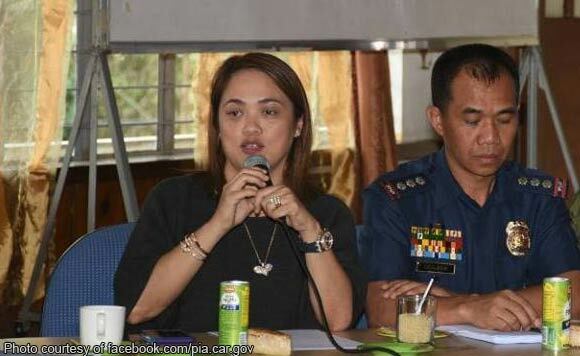 She explained that the measure would also prevent other groups or individuals that may cause harm to her constituents and to the delegates of the Cordillera Administrative Region Athletic Association (CARAA) meet slated Sunday to Wednesday at the capital Bangued and the adjoining towns. Bernos’ reaction came after Philippine National Police chief Director General Ronald Dela Rosa approved the suspension of all Permits to Carry Firearms Outside of Residence (PTCFOR) and Permits to Transport and Purchase of Explosives/ Explosive Ingredients (PTTPEEI) in Abra. In a related development, Governor Bernos expressed her gratitude to the parents of the athletes for allowing their children to participate in the annual regional sports event. “Thank you for the trust and confidence that you have shown to the province of Abra,” said Bernos. She also thanked the leaders in the Cordillera for supporting the games.